In 1910 the Jefferson County Camp, United Confederate Veterans, placed 25 concrete obelisks throughout the county to commemorate the 50th anniversary of the Civil War and to permanently mark locations where skirmishes or battles took place. 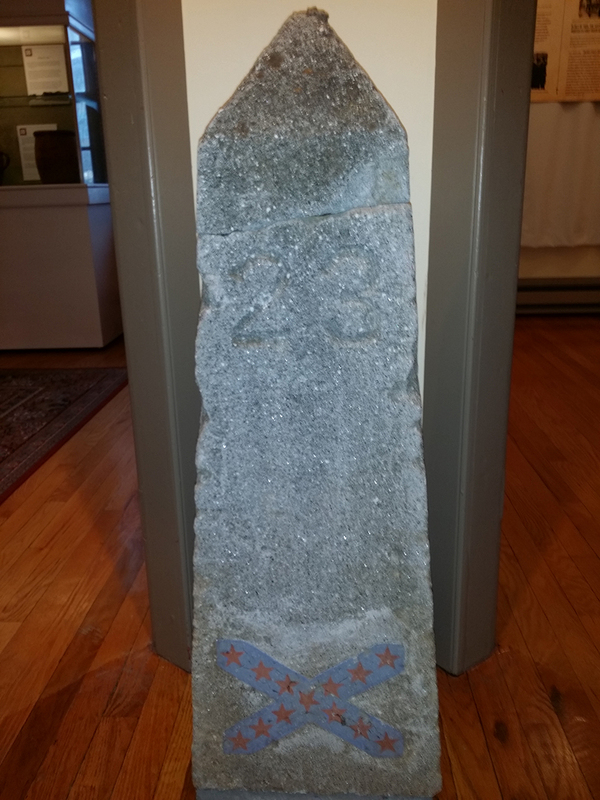 Replaced some years ago, Marker 23 was originally located on the south side of Rte. 340, just outside of Harpers Ferry where on October 16, 1861, Col. Turner Ashby attacked the Union force at “Bolivar Hill.” Among Ashby’s troops were two cavalry companies from Jefferson County – Companies “A” and “B” of the 12th Virginia Cavalry. This marker can be seen at the end of the second floor hall of the museum.